The pirates are coming, the pirates are coming! The fourth installment of the Pirates of the Caribbean: On Stranger Tides is set to start filming in and around the Ko Olina resort on the Island of Oahu in August. The film crew started filming during the middle of June 2010 on Kauai. If you are staying at the Beach Villa Resort in Ko Olina during the month of July, you may already see the the Pirate Ship next door at Kalaeloa Harbor being readied. Filming is set to start on Oahu in August. 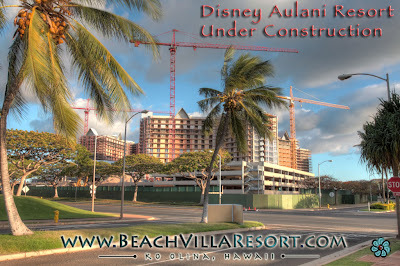 The new Disney Aulani Resort is being constructed, one lagoon over from our property, the Beach Villa Resort and is set to open in the Fall of 2011. 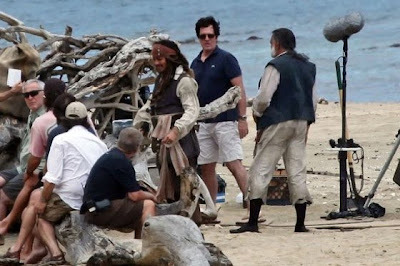 Pirates of the Caribbean: On Stranger Tides, is set to be released on May 20, 2011 in traditional 2D, IMAX, Disney Digital 3-D and IMAX 3D. According to wikipedia, the plot of the movie involves Jack Sparrow crossing paths with a woman from his past, but he's not sure if it's love or if she wants to follow him so she can find the lost Fountain of Youth. Things seem clearer when she forces him aboard The Queen Anne's Revenge, the ship of the infamous Blackbeard. Here, Jack finds himself on a brand new journey -- and unsure as to who he should fear more, the woman from his past or the cutthroat pirate. So come stay with us and keep on the lookout for pirates! We look forward to welcoming you and your family along with Mickey and Minnie Mouse and Lilo and Stitch to our neighborhood. It would be our pleasure!